It’s been a long work week. The chill of Autumn hides in the seasonal darkness that lingers outside your windows. You collapse into the corner of your sofa, feet tucked up under your side, and you listen to the crackling of the wood and watch the flames jump in the fireplace (replace this with candles if you are short one fireplace). And there she is in front of you. A nice glass of wine. Tonight, it’s all about relaxing. 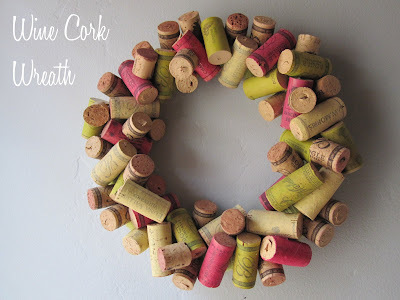 But tomorrow I want you to think twice before you throw out those wine bottle corks by providing you with 22 DIY cork creations (okay, some are more DIY than others). As a bonus I’ll also lead you to more inspiration at the end of this post for recycling the bottles! And of course there is the Pinterest board that stores nearly 100 cork arts and crafts projects that you’ll definitely want to check out. My own cork collection is quite small. So it seems I’m going to have to adjust my oversized project ways of late. 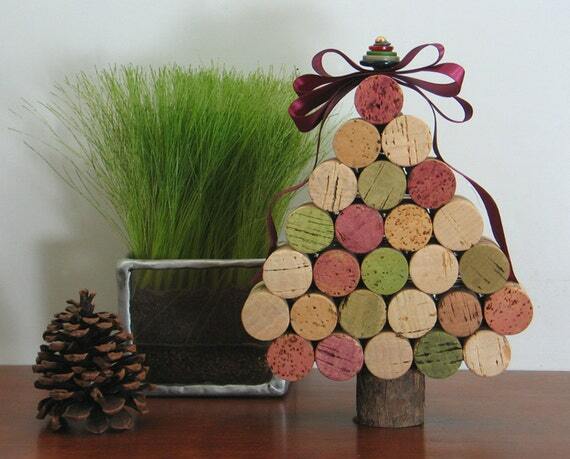 So let’s start with some nice DIY cork projects that can be done with small cork collections. These simple cork drawer pulls from Mary’s Creole Cottage (via Poetic Home) would be the perfect touch for a rustic kitchen, don’t you think? I’ve got twisty black electrical wire and I’ve got three corks…I may have to give this one a try. 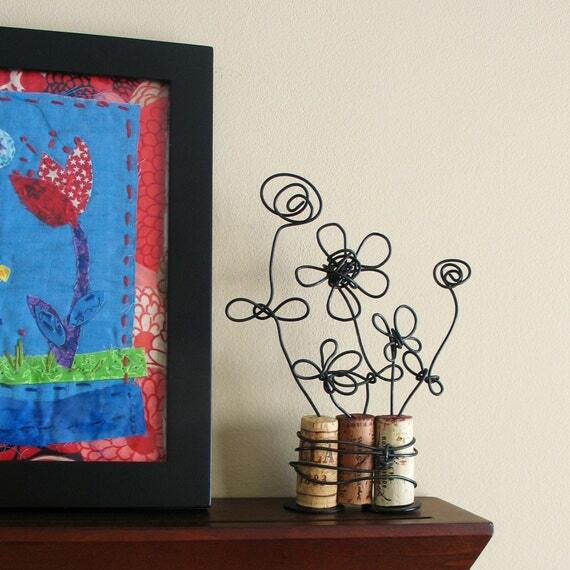 If you don’t want to DIY-try your own garden of flowers made from cork and black wire, you can buy one at Birds From a Wire on Etsy. 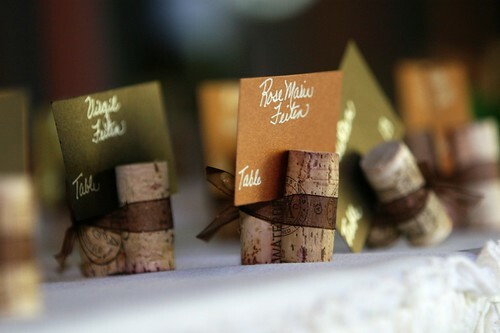 There’s nothing I don’t love about these simply sweet cork place card holders that were at Ardent Photography’s cousin’s wedding. Wouldn’t they be great for a dinner party this holiday season? Diane at Home Sweet Homemade was the inspiration for my popular button flower bouquet (soon to be re-revealed with nearly 100 flowers in a new painted vase). She transformed corks into these lovely little stamps to make her own paper designs. This next project takes a little crochet know-how, but how cute are these little toy knights in shining armor (or are they little vikings?) made of cork from Lucy Ravenscar. I’m loving the painted tips on this adorable Christmas tree made from corks. If you don’t have enough corks yet, it’s also for purchase from 4 Eyes and Ears on Etsy. Wouldn’t this be a lovely hostess gift this holiday season? I love the “why didn’t I think of that” in this next project. If you have kids, you need to DIY one of these art gallery rail made from corks at Family Fun. If you don’t have kids, you still need to DIY one of these art gallery rails made from corks! Instructions are included. 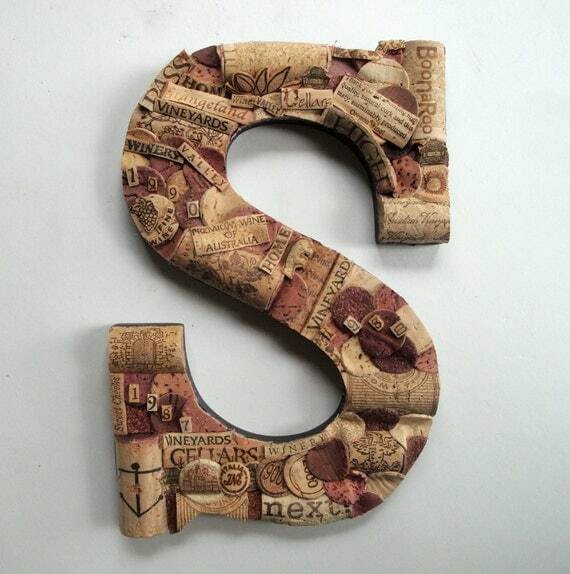 If I were going to muster up a cork monogram letter, it would have to be a funky little number like this monogram made from bits and bobs of corks available on Etsy from Creative Corks N More. There is actually some serious detail in this if you stop and look closer. I’ve always collected heart pieces over the years, and I wouldn’t mind trying this for myself. 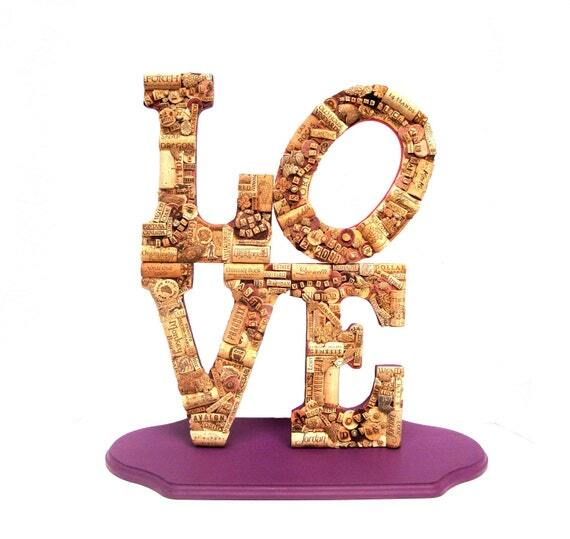 Lovely Morning combines the tonal shades of wine left on these corks to make a beautifully simple heart. Cathie at Domestic in the City doesn’t mind if you DIY-try her adorable little red and green tipped cork wreath. In fact, she tells you what materials you’ll need and gives a quick how-to! Is anyone up to the task of modifying this next cork ball project from an Anthropologie display? Wouldn’t it be great with white tips or red and green tips for the holiday season? 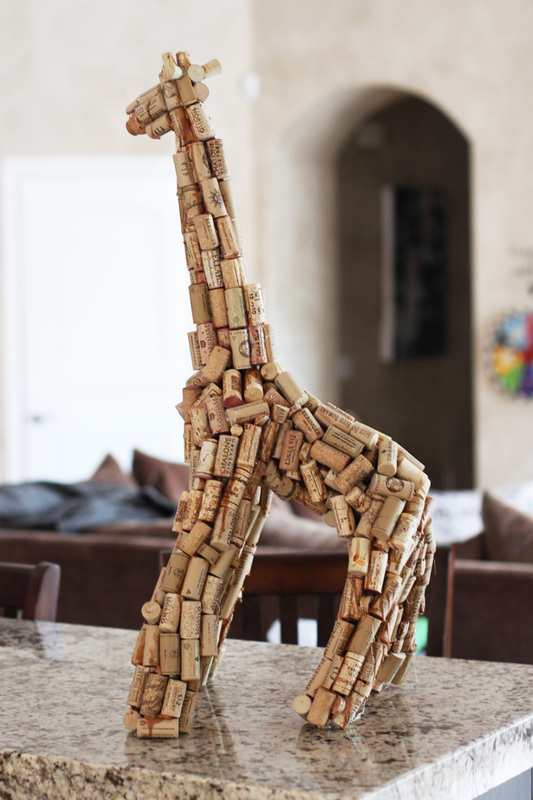 This giraffe of corks from Lil Blue Boo is just too cute not to make the cut for this DIY cork inspiration post. She gives the how-to if you want to try one youself. For a while now I’ve wanted to create a mini-series of repurposed and recycled interpretations of Robert Indiana’s iconic LOVE sculpture. So I’m inspired to get crackin’ with this interpretation of LOVE made from corks and available on Etsy. Two bangs for the buck! This project combines an old door AND lots of recycled corks, resulting in a charming message cork board from Home Made. We even get a how-to with this one. And cast your eyes downward at the sweet little knit baby snugly laying on the table. Melissa Oholendt shows us this DIY cork board wedding seating chart, and I could consider making a background like this and putting a chunky frame in the middle with some rusty old hardware creation in the center. Note to self, need more corks. Now this is where we shift into oversized and spectacular! I’ve got to start making friends at all of the Italian restaurants in town before I can even dream about creating something like this cork wall art from Wine Cork Designs. But wouldn’t this be fab in a nice rustic kitchen, with some edgy metal pieces nearby? And here is my favorite of the bunch! I get heart palpitations! These mandalas are made from corks and were a part of this year’s Earth Day homage by Anthropologie. This is so lovely that it deserves two pics! All I need now is a windfall of corks and I would SO try this on one of my walls here at home! More heart-stopping Earth Day cork displays from Anthropologie. It’s been a long post about corks, but take a second, or 2.46 minutes to be exact, to watch the Anthropologie creative team in action for these Earth Day creations. Nearly two weeks ago I featured an artist making these unbelievable oversized portraits with corks. 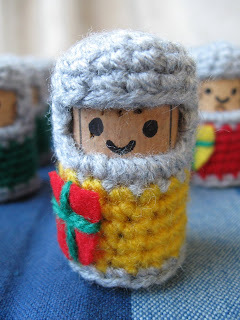 They still amaze me and deserve a spot in this post of my favorite cork creations. We near the end of this post of cool cork projects not with a blue velvet chair, but with a cork chair from Aaron Kramer at Urban-Objects. 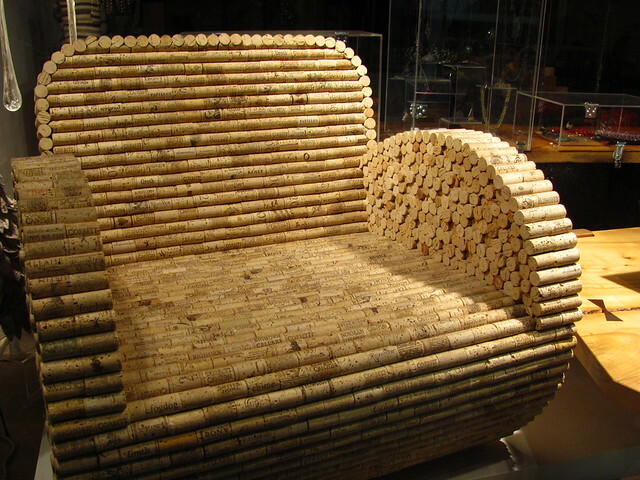 He made a wooden base for the chair and then adhered the corks. Nice results! And our last featured project is this deliciously chunky cork chair from Gabriel Weise (via Recyclart) that looks like it could be stuffed with feathers! It’s just begging to be sat in! I hope you are as duly inspired by these cork creations as I am. Which was your favorite? Do you think you’ll try any of them? I leave you with one final image of a stripped cork tree in Spain. The trees can evidently handle this process every 10-12 years. And now we all know what a stripped cork tree looks like. As promised, I don’t want to leave you hanging with all those empty wine bottles. Make sure to visit this Pinterest board where you’ll find repurposed and recycled bottle inspiration! Aaron – your chair is great! Glad you found your way over here. I'm going over to have a look around your place now. I really liked the Anthropology piece. 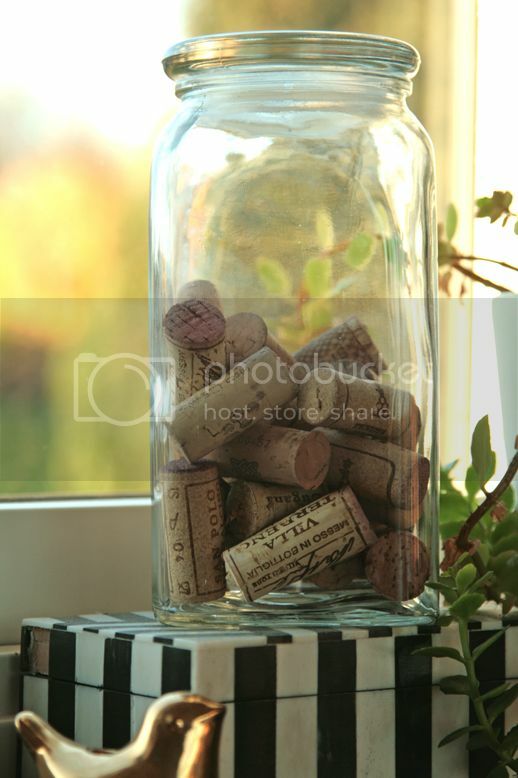 Wow…..this is a great post…..keep meaning to put a pretty jar in the kitchen to start saving corks……great motivation and really awesome inspiration!!!! So glad I stumbled on your blog, featured one of your beautiful creations on mine. Looking forward to seeing more. These cork items are so creative. really artistice and unique ideas there. my forst time seeing these. Wow, those are really great ideas. Bookmarking! I have bags and bags of corks & few ideas. Thanks for this collection! Have a great weekend! I've made the usual cork board but the rest of the projects blew my mind! Better start collecting more of them!